Whitney from Life in the Barbie Dream House is here today with an easy painted chevron frame tutorial for you today. Hey y'all! I'm Whitney, from Life in the Barbie Dream House, a blog my husband and I started while designing and building our dream house from the ground up. The house was completed and we moved in last March (yay!) and ever since then the blog has followed along as we decorate it, furnish it, put up 26 Christmas trees in it (yes - I'm crazy), and really just make it our own. I've always been a huge fan of A Glimpse Inside, so it's an honor to be a small part of it while Allison is spending some quality time with her adorable new baby girl! Today I'd like to share a quick and inexpensive (under $5!) 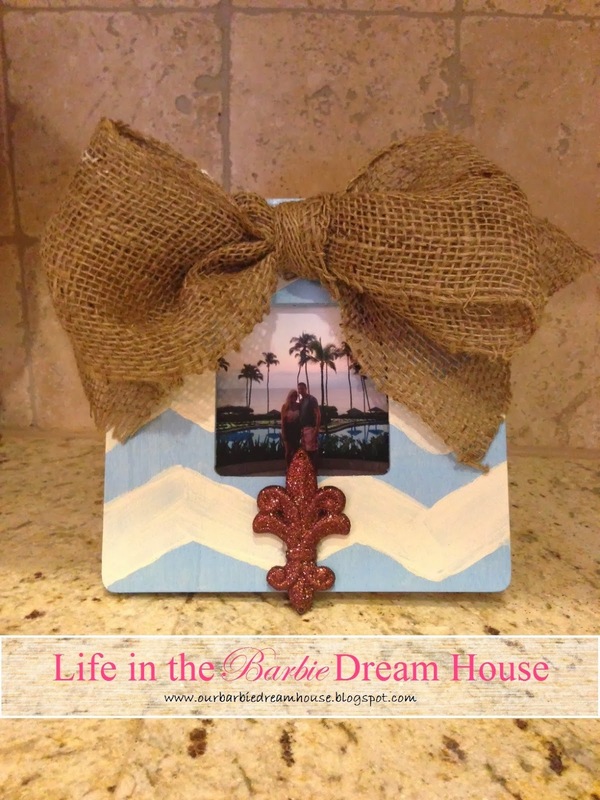 chevron painted picture frame with a burlap bow that I DIY'd. We needed one more decor piece for the side table in our newly repurposed sun room, and I thought a picture frame would be just what the room needed. 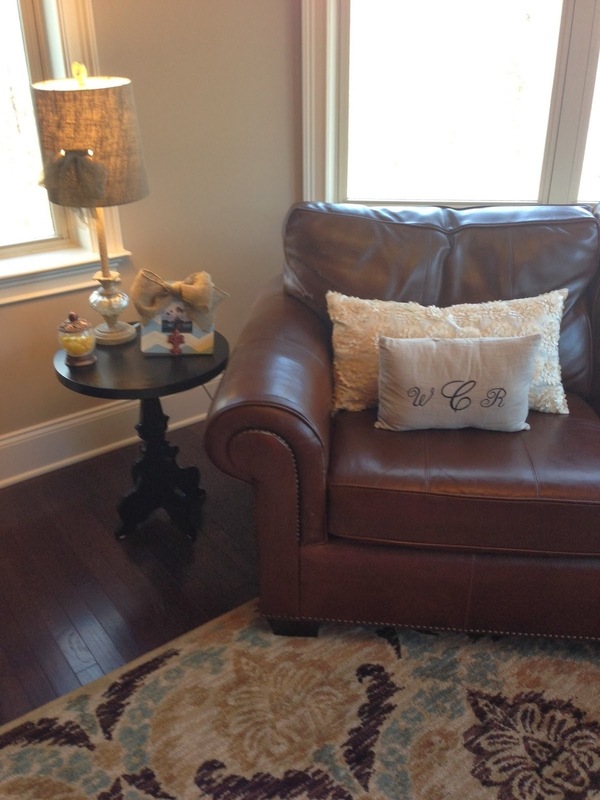 What I love about this craft, aside that it's easy and low cost, is that you can really personalize it to your space by syncing it with your color scheme. The supplies and steps are below, but feel free to get creative with any other patterns or accents you want to add! 2 and go straight to step 3. 2. 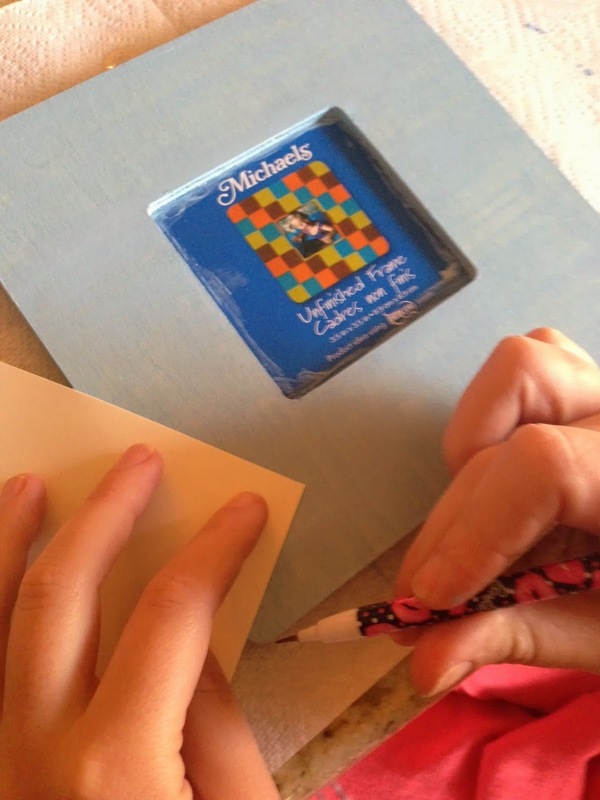 Using the paper or card stock, trace the chevron pattern with a pencil. The paper helps to ensure you're using straight lines. After tracing, paint along the lines carefully with your second paint color to complete the chevron pattern. If you're anything like me, you won't be able to trace the lines perfectly, but the pattern will still be discernible! 3. 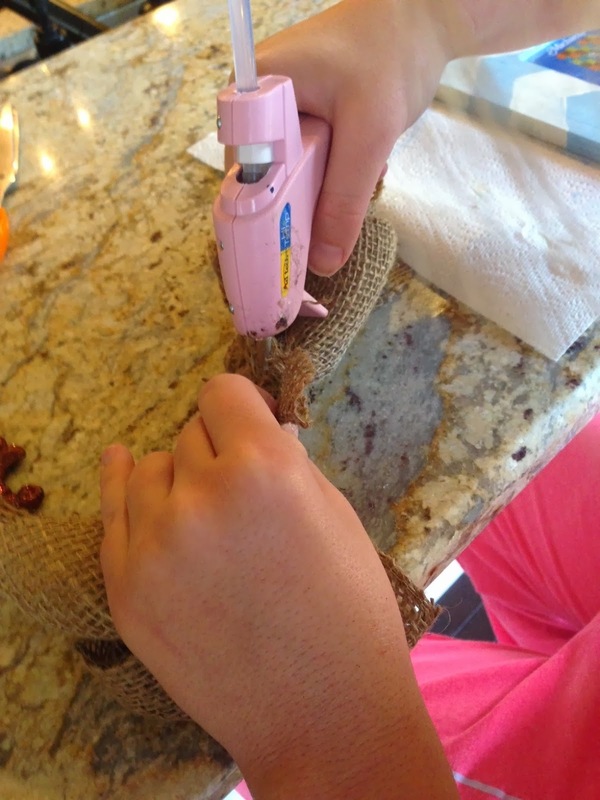 After letting the paint dry and plugging in your trusty glue gun to let it heat up, make a bow out of the burlap. I also used a small scrap of burlap ribbon to tie around the center of the bow to make it extra secure. 4. Glue the back, center portion of the bow to the frame in the top center, top left, bottom center, or anywhere else you think looks cute! I chose the top center of the frame because my bow was so big. Press it down firmly for a couple seconds to ensure it stays in place. You might also spot on a little glue within the bow to make sure it doesn't come undone. 5. 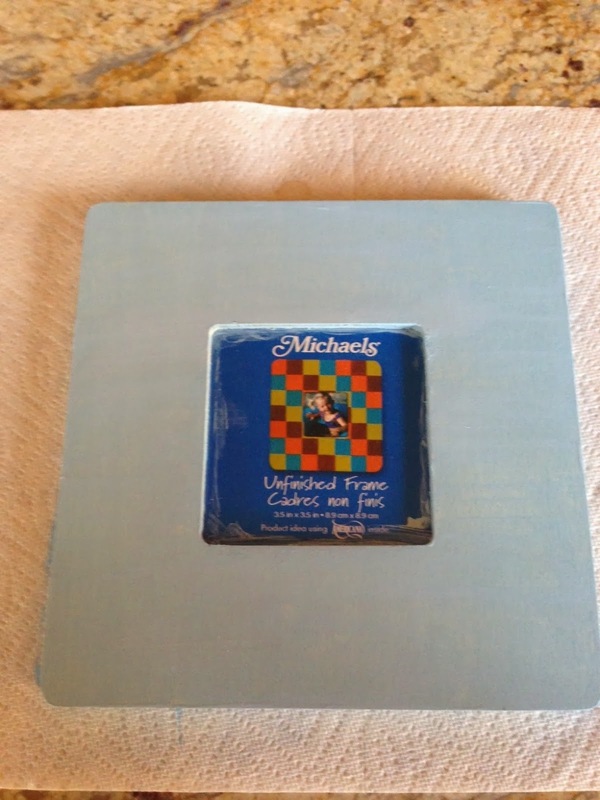 If you also have a flat ornament you would like to add (now is a great time to get them for 50-75% off) hot glue that wherever you think is appropriate. I got this one in a two pack from Garden Ridge for $1 (50% off)! I love using the fleur de lis and glitter is always welcome in our house. 6. Don't forget to insert a special photo to make it your own, and voila! 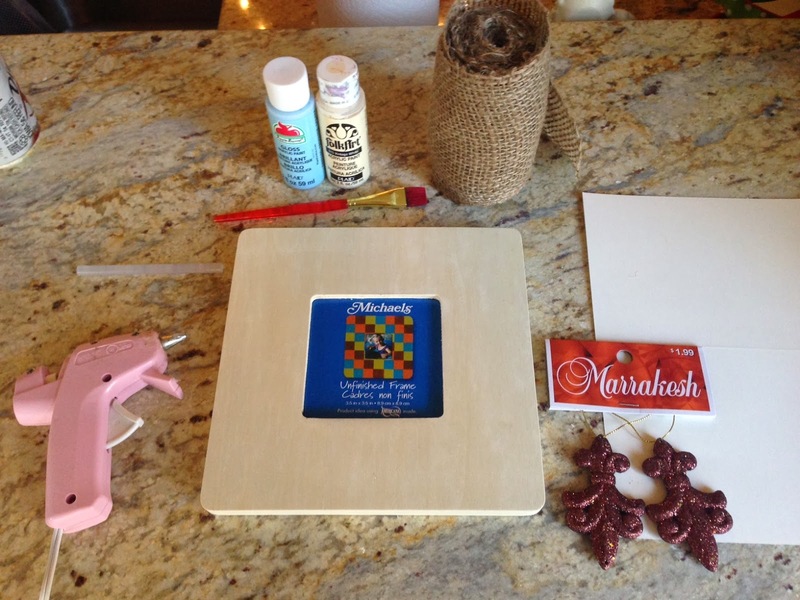 You not now have a chevron and burlap picture frame that you can tell everyone you made yourself - and on the cheap! 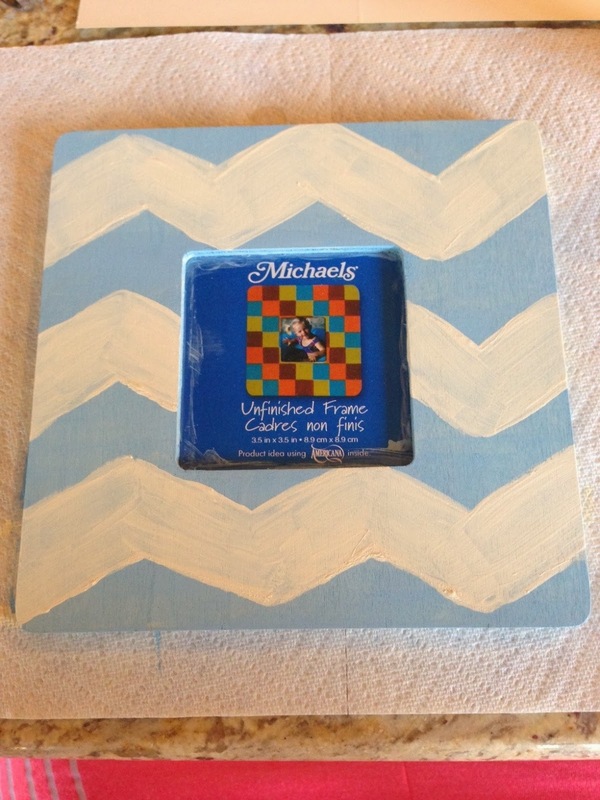 Thanks for reading and thanks again to Allison for allowing me to share my chevron frame craft!